Performing Company Auditions are underway! Click here for Callbacks, Audition Combo Videos, Spotify Playlist and more Audition info! Our Year-End Show Packet is NOW AVAILABLE!! Click here for LOTS of details on Wonka & The Rhythm Factory!! 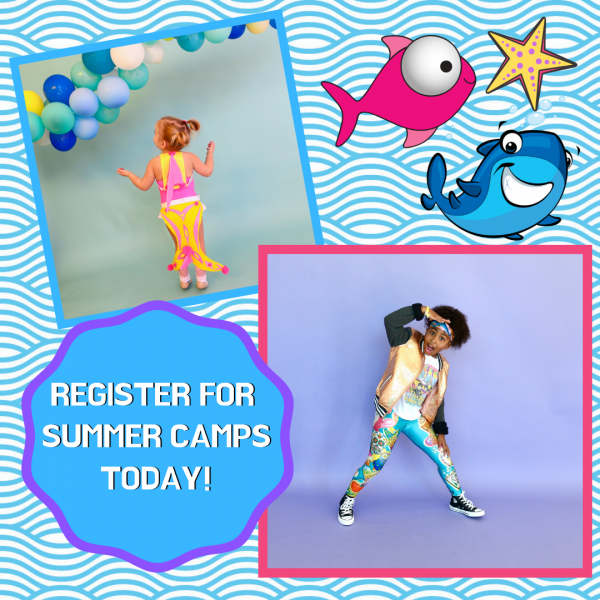 Summer Camp registration is o-FISH-cially underway! Hurry before early discounts expire or your favorite camp fills up! Celebrating 26 Years of FUN! At Rhythm, we believe first and foremost that dance should be FUN! And, we take that approach with everything we do, from FUN dance classes and studio decor to FUN events and performances! We're FUN on social media, too! This year, we are celebrating our 26th season! With 1,100 amazing students, we've come a long way from our one-room studio beginning! Today, our dancers enjoy 175 different weekly class options in 6 spacious studios! Conveniently located in Marietta, Georgia in East Cobb, Rhythm is the perfect place for a young child to take their very first dance class and a professional environment for the more serious dancer to receive top-notch training. Come have fun with us at Rhythm!